Ten years ago today I arrived in Beijing. I was thrilled being able to read characters on the sides of the small red taxis I saw on the highway leaving the airport. I was surprised by the unrelieved grey-brown colour of everything. I had no idea what would happen next. I was 21 and it was my first time living alone. 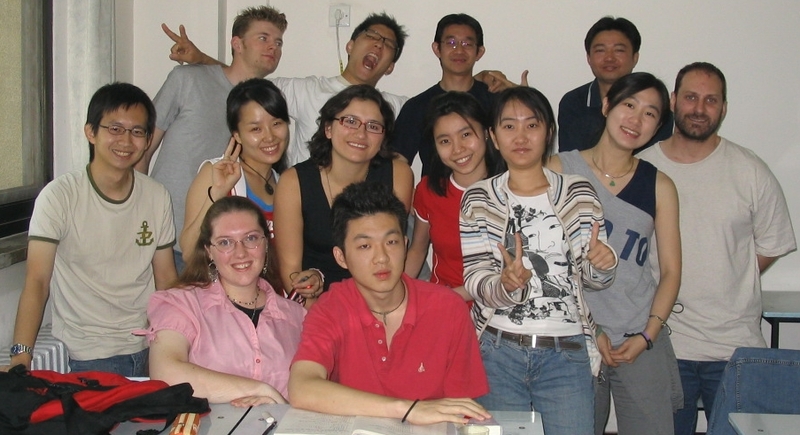 I had lived with my parents throughout university in Australia, as I chose a school in the same city (much to my own chagrin…oh Canberra…) so moving to Beijing was a BIG move. I didn’t realise at the time how big it was. It was a logical next step and I didn’t ever consider it a big thing until after I’d done it and arrived and had no idea how to do, well, anything. Everything was different, and done differently, and I was confused about a lot. I remember my first time buying basic items at a local supermarket. There is a system still in use in some places where certain sections of the store handle payment differently. You choose your items, a worker writes an invoice for the items, you take it to a cashier to pay, and bring the payment confirmation back to the section to collect your items from the worker who wrote the original invoice. You have to do this separately for each section. So I had to get one invoice from the stationary section, another from the electronics section, yet another from the cookware section… It was made more confusing by the fact that downstairs the grocery section worked like any other supermarket, collecting items and putting them in a basket and taking them to the register to scan and checkout. Once I started classes I felt more settled. The routine helped, not to mention the fact that my teacher and classmates were amazing. The other big help was joining a student Bible study on my school campus, and meeting a huge bunch of awesome people through that. Still, I spent an inordinate amount of time on skype, MSN messenger, email, my website, and even making international phone calls – continuing to invest in the people I’d left behind. It would be more than 6 months before I realised I wanted to spend more time in China.